Mol. Cells. Feb 28, 2017; 40(2): 90-99. Mol. Cells.Feb 28, 2017; 40(2): 90-99. Received February 6, 2017; Accepted February 23, 2017. Corsi, A.K., Wightman, B., and Chalfie, M. (2015). 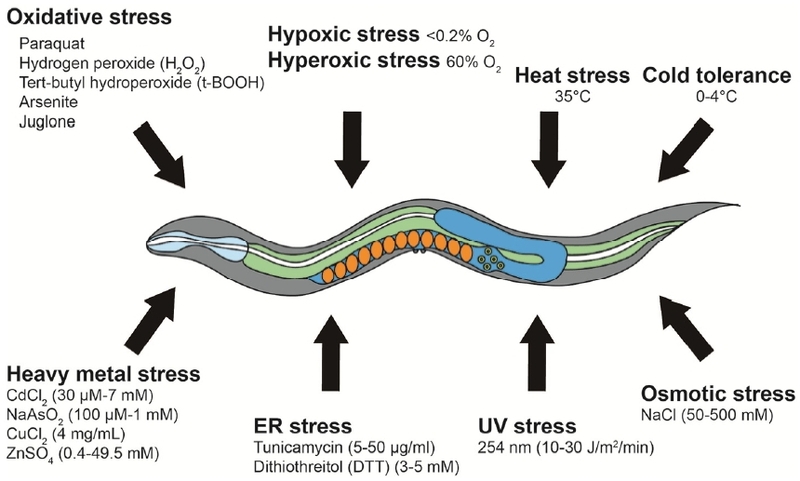 A transparent window into biology: a primer on Caenorhabditis elegans. Worm-Book. , 1-31. Darby, C. (2005). Interactions with microbial pathogens. WormBook. , 1-15. Ewbank, J.J. (2006). Signaling in the immune response. WormBook. , 1-12. Fisher, R.A. (1990). . Statistical methods, experimental design, and scientific inference, , ed. (:Oxford Univ. Press), pp. .
Kim, D.H., and Ewbank, J.J. (2015). Signaling in the innate immune response. WormBook. , 1-51. Lee, Y., An, S.W.A., Artan, M., Seo, M., Hwang, A.B., Jeong, D.-E., Son, H.G., Hwang, W., Lee, D., and Seo, K. (2015). 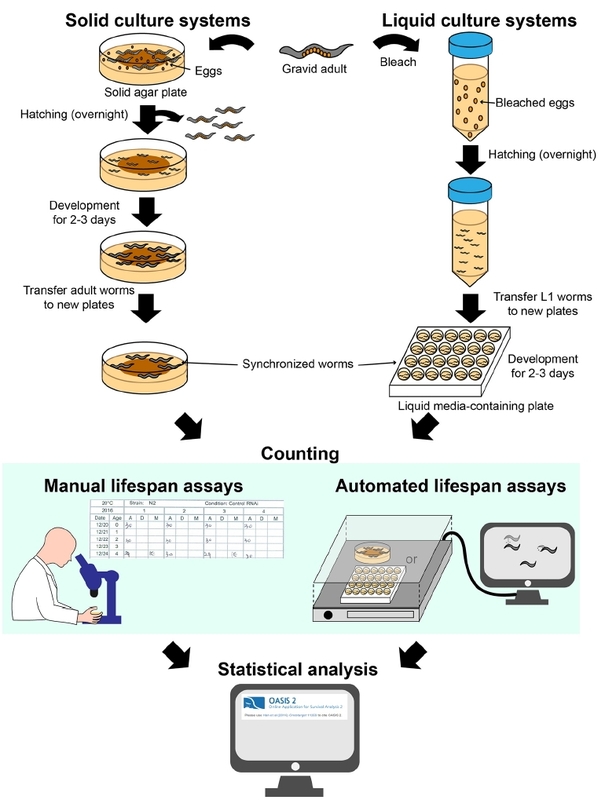 Genes and Pathways That Influence Longevity in Caenorhabditis elegans. In Aging Mechanisms (Springer). , 123-169. O’Neil, N., and Rose, A. (2006). DNA repair. WormBook. , 1-12. Sies, H. (1985). Oxidative stress: introductory remarks. Oxidative Stress. , 1-8. Stiernagle, T. (2006). Maintenance of C. elegans. WormBook. , 1-11. Troemel, E.R. (2016). 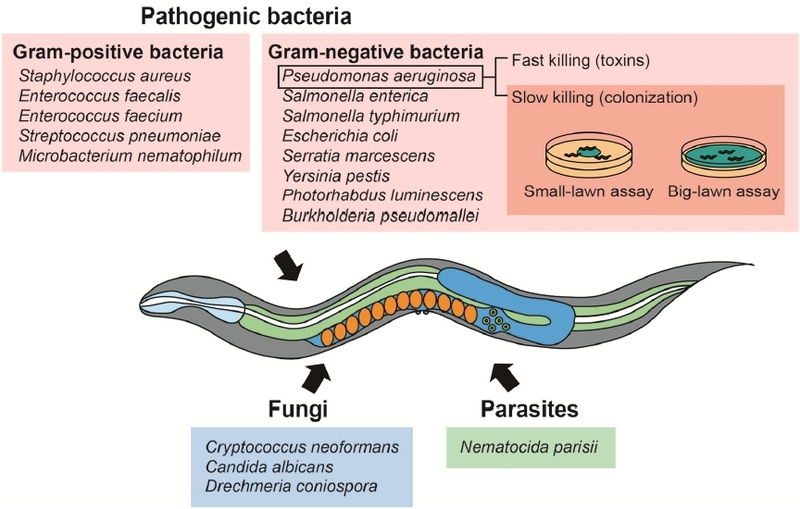 Host-microsporidia interactions in Caenorhabditis elegans, a model nematode host. Microbiol Spectr. 4, .